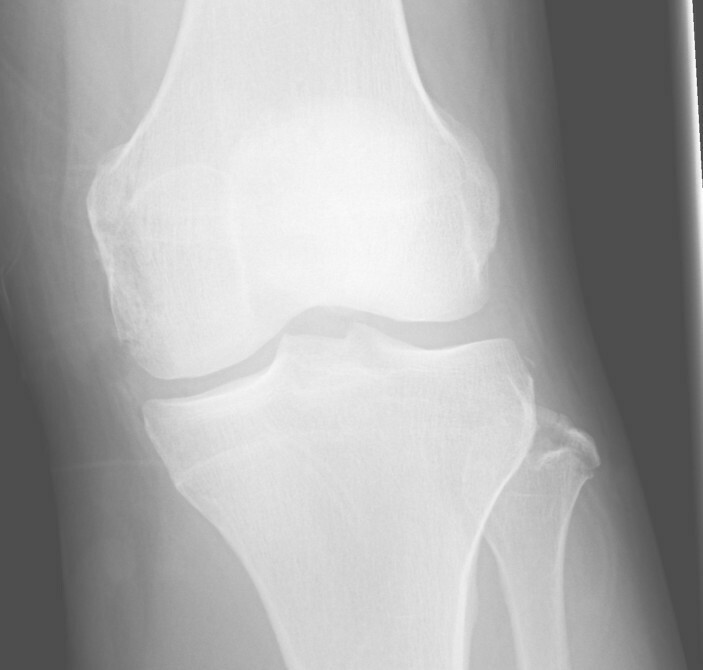 Radiograph demonstrates small avulsion fragment near the lateral tibial plateau. 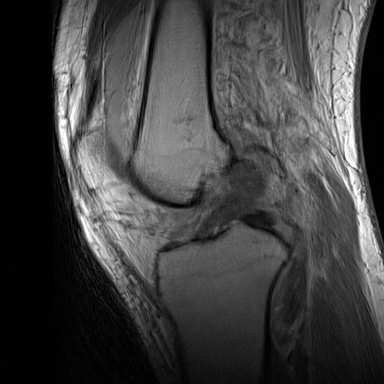 Same cortical fragment is attached to the joint capsule on proton density image. 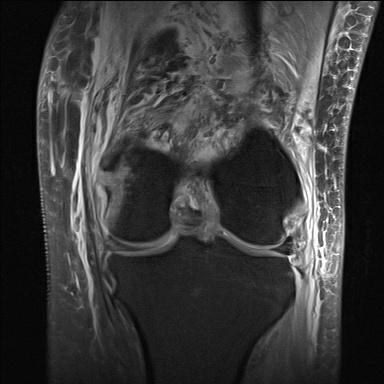 Sagittal image demonstrates thickened heterogenous torn ACL.